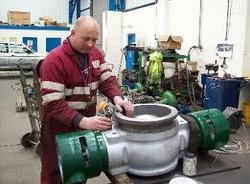 Offering services of repairs of valves,pumps, piping, heat exchanger, coolers, condensers. 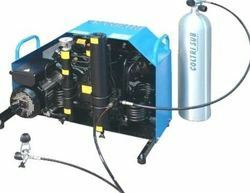 Valve assemblies and hydraulic power. The above quote is to open, clean, lap, paint the valve from inside close up new joints in situ. for taking the job to our work for maching the charges will be double the above rates. For butterfly, gate valve and storm valve the rates will be 25% than the above. Chequered plates additional 5% will be charged. Galvanised pipes will cost 15% extra. Bush/wear ring (GM) Rs 2500per kg. work for maching the charges will be double the above rates. The charges if the job involves taking the cooler to workshop for chemical cleaning and pressure testing. 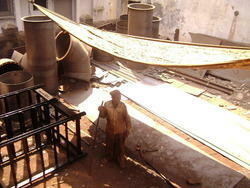 Manufacture ,Repair And Installation Of Coolers, Condenser. By: Fluidchem Valves (I) Pvt. Ltd.